The Ram pickup may have shed its Dodge brand name for its own Ram brand, but it's still the work-tough, proven truck it has been since the early 1980s. The first generations of the Ram didn't use the mega-numbering scheme of today's trucks, but even back in 1981, the Ram 3500's predecessor, the Dodge Ram 350, was staking out territory in the one-ton pickup world. Back then, it was gasoline only, but in 1989, the Ram added the Cummins 5.9-liter in-line six-cylinder as an option, generating 160 horsepower and a whopping (for the time) 400 pound-feet of torque. That's a far cry from today's Ram diesels, but they're still using Cummins engines. Dodge's 318 cubic-inch LA V-8 was also offered for those who preferred the power of gasoline. As the years went on, the power and capability of the Ram pickup grew, whether diesel or gasoline, though it wasn't until 1993 that the second-generation Ram pickup hit the market, carrying on until 2001, but ushering in a new era of design for Dodge's trucks. New during the second-generation Ram's run was a monster 8.0-liter V-10 gasoline engine. 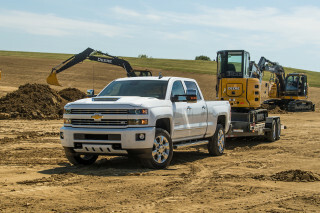 The big V-10 engine rated 310 horsepower and 450 pound-feet of torque. Mid-way through the second generation's run, the Ram added the Quad Cab format, with smaller rear doors that opened rearward. 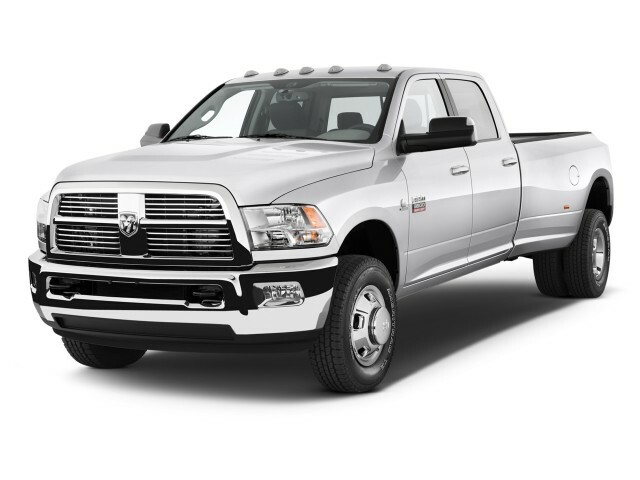 During the last years of the second-generation Ram, the trucks began to grow more luxurious, with options like leather upholstery and heated seating available. 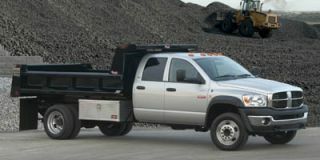 Moving into its third generation, which ran from 2002-2009 for the heavy-duty trucks, the Ram line gained even more power and capability, with tow ratings and power outputs climbing. 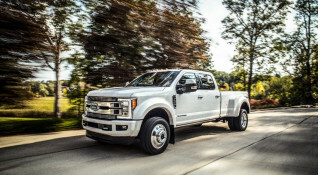 Part of this was powered by stronger frames and running gear, but part was due to upgraded engines, including the addition of the 6.7-liter Cummins turbodiesel in mid-2007, good for 350 horsepower and 650 pound-feet of torque. The 8.0-liter Magnum V-10 also carried forward into the third generation. The fourth generation of the Ram pickup is still being built today, and marks the first of the trucks to split off into the Ram brand. Aside from its new range of HEMI V-8 engines, and the continued Cummins 6.7-liter turbodiesel, the Ram is the only truck to offer a manual transmission option. Currently available in either crew or Mega Cab configurations, the Ram 3500 is the brand's most capable consumer pickup, rated at up to 29,280 pounds towing and 6,100 pounds payload when properly configured. 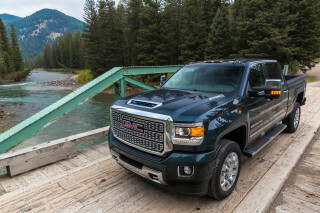 The 5.7-liter HEMI V-8 is the standard engine, but buyers can upgrade to the more powerful 6.4-liter HEMI V-8 or the 6.7-liter Cummins turbodiesel. A choice of six-speed manual or six-speed automatic transmissions remains, but the manual gearbox is only available with the diesel engine. 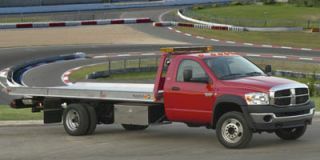 In addition to the range of cab and powertrain options, there are many axle ratios, equipment groups, and bundled option packages to further customize the Ram 3500 for uses ranging from barebones work vehicle to holiday tow hauler.